Rugged cases for iPhone XS Max have been gaining popularity today not just because of aesthetic purposes but because of how beneficial these are in protecting our expensive smartphones. If you are someone who loves extreme sports or you are always on the go, adding extra protection for your device can be beneficial. You don’t need to get insurance or do extra preventive measures just to make sure that your phone does not get scratches or the screen does not get broken. If you are searching for the best rugged cases for your iPhone XS Max, check out these recommended products that you can purchase from Amazon. 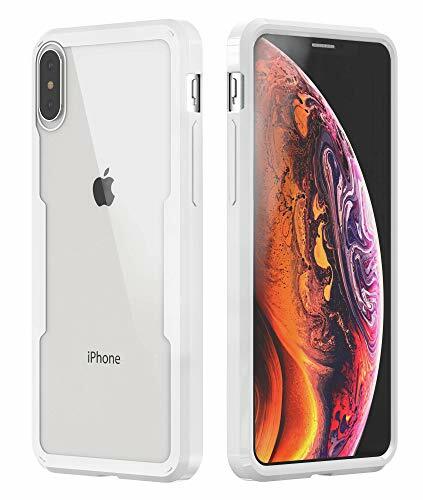 Spigen Ultra Hybrid Case is your slim and compact iPhone XS Max companion. Weighing only 2.08 ounces and sizing only 3.1 by 0.4 by 5.9 inches, it only adds under 0.15 inches of thickness to your device. Its minimal and ergonomic design provides easy grip and pocket-friendly safekeeping. It has long-lasting clarity that makes it matte black color resistant to yellowing. Made with air-cushioning technology and materials, thermoplastic urethane (TPU) and polycarbonate (PC), that are made to last, Spigen cases are military-grade tested and certified (STD 810G-516.6) to survive a 48-inch drop 26 times. Its hybrid structure makes it shock-absorbent and rigid. It has raised bezels and edges for enhanced protection for your phone camera lens and screen, and its buttons are cut precisely for easy access and button tactility. Spigen Ultra Hybrid cases are compatible with wireless chargers so you can charge your phone without removing them. 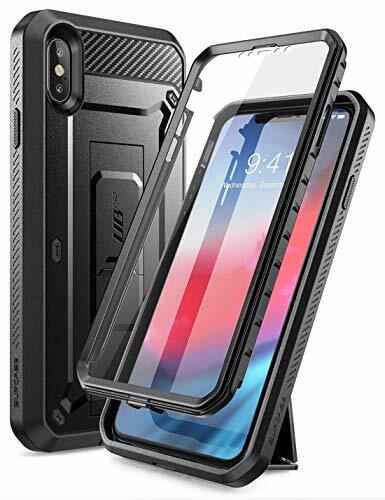 Surely, one of the best rugged cases for iPhone XS Max. The Speck Candyshell Grip Case is a durable phone case to protect your iPhone XS Max with. It offers two layers of protection— the external layer is made out of a tough polycarbonate that dispenses any impact. The inner layer is soft and absorbs any shock. Together, these two layers ensure that your device will not get damaged in case it falls or drops. The Speck CandyShell also passed drop tests that qualify it for military-grade standards. Your phone dropping on its corner would usually spell disaster if it were encased in other phone cases. If you have the Speck CandyShell Grip case, you don’t need to worry! Another feature is the raised rubber ridges on the sides and back of the phone case. These give you a better grip on your phone and reduces the risk of you accidentally dropping it. Raised bezels keep your phone screen from getting scratched when you place your phone face down on any surface. This phone case is also compatible with wireless charging. The Otterbox Defender Series Phone Case truly lives up to its name as a defender. It shields your device from any damage that may be caused by drops, scrapes, bumps, and even dust! It has port covers that keep dirt and debris from getting into your iPhone and affecting performance. There are multiple layers to the Otterbox Defender, all of them designed to protect your phone. It has a solid inner shell to keep it together even if your phone falls. The outer cover is soft and textured, to improve your grip and keep you from accidentally letting go. The back of the case has an attached rotating holster that turns the phone case into a belt clip holster. The same holster doubles as a kickstand that lets you enjoy hands-free viewing of videos on your phone. There are a number of designs for you to choose from, ranging from solid colors to patterns. 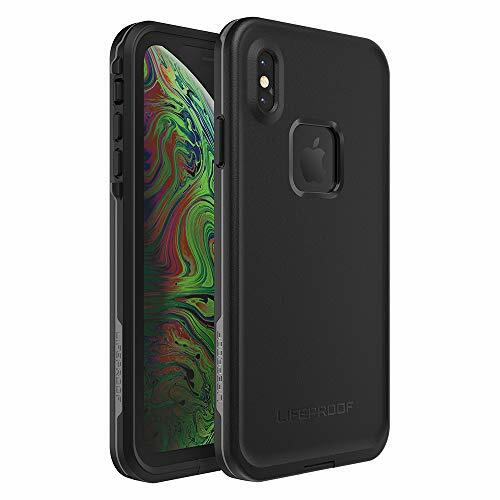 Available in colors asphalt, body surf, boosted, frost-bite, and tiki, Lifeproof Fre Series Waterproof Case is an iPhone XS Max case that is lightweight at 1.76 ounces and has a size of 6.7 by 3.6 by 0.6 inches. Its 4-proof feature is suitable for any adventure; it is waterproof and snowproof (with IP68 ingress protection rating) of up to 2 meters deep for up to 1 hour, drop proof/ shockproof of up to 6.6 inches or 2 meters in height (drop-tested with a military standard of 810F-516, and dirtproof (also with an IP68 rating) that can seal device from dirt and dust particles. It has a built-in, scratchproof screen protector for an additional layer of protection. Its buttons and charging port are enclosed, so they won’t get submerged or won’t collect dirt or snow. It is 100% authentic, has a one-year manufacturer warranty and has phone support 7 days a week. The buyers can be guided by the manufacturer’s installation video and user manual to ensure correct installation. The case works with a wireless charger. Fashion and protection meet with the Wollony iPhone XS Max case. Sealed in the glitter case is a liquid quicksand that is made from eco-friendly materials. These enclosed flakes and glitter materials come in rose gold color and provide a snow-globe or waterfall effect. 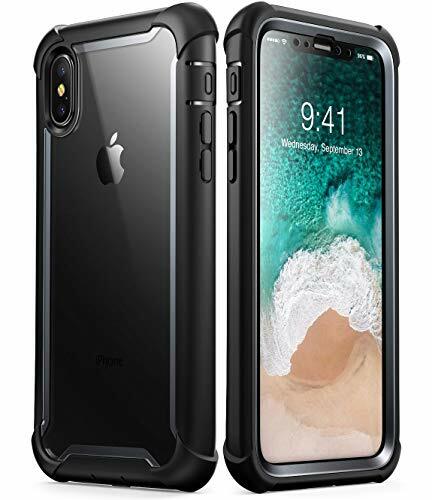 The case provides a multi-layered and full-body shockproof protection through its two-layered hard polycarbonate interlocking interior bumper and its soft-shelled thermoplastic polyurethane shock-absorber exterior. While it does not include an extra screen protector, at the corners are raised fully-covered edges with cushioning to provide the camera and the screen extra protection from scratches, bumps, and falls. This one of the best rugged cases for iPhone XS Max is 0.64 ounces in weight and 6.8 by 3.5 by 0.4 inches in size. It’s got precise and enlarged cut-outs, so your phone’s charging port, buttons, sensors, and speakers are unobstructed and accessible. The case is also safe and convenient since it is compatible with wireless chargers. 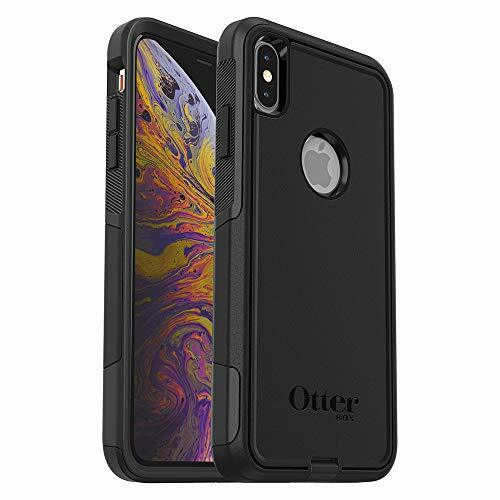 Lontect iPhone XS Max case is a single, snap-on case with a weight of 4 ounces and a size of 7.1 by 3.7 by 0.6 inches. 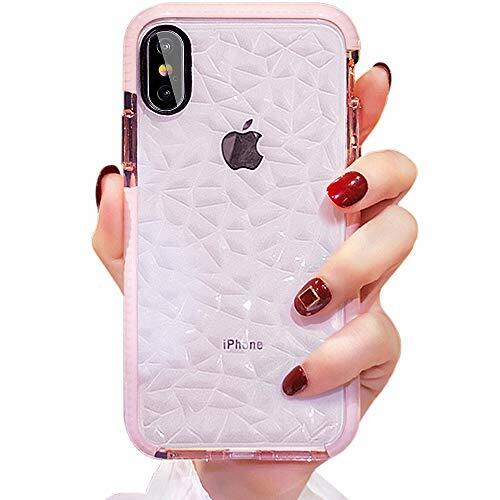 It’s a 3-in-1 case with a hard-shell polycarbonate back for impact protection, a sparkly and shiny faux leather layer for aesthetic value and a soft silicone inner case for added phone grip. While it does not include an additional screen protector, its four corners have raised edges and raised lip to guard the phone screen against scratches and bumps. Its sides are precisely cut so that the charging port, speakers, and sensors can be easily accessed. Its camera frame, specifically, has a wide cut-out and raised lip for 3mm to protect the camera lens. It has fully wrapped buttons to prevent dirt and dust from affecting the buttons’ responsiveness. Finally, it is compatible with wireless chargers for hassle-free use. Unicorn Beetle Pro Series Supcase is a full-body rugged holster case for your 6.5-inch iPhone XS Max. It’s a 6.5 by 3.3 by 0.5 inch and 7-ounce protective casing with a built-in screen protector. It also includes a rotatable and detachable belt-clip holster that conveniently serves as a functional vertical and horizontal stand so you can use your phone hands-free. The case is multi-layered, with thermoplastic polyurethane (TPU) impact bumper and polycarbonate (PC) hard-back, drop-resistant materials. It exceeds military grade standards (of 810G-516.6) and is drop-tested to survive a 48-inch height 26 times, and thus, guarantees the ultimate drop protection. Its included screen protector is scratch-resistant but still responsive and sensitive to touch. It has precisely cut sides for access to the charging port, buttons, and sensors. It’s got raised edges to fully guard the screen and camera. Finally, it is wireless-charger compatible and has a one-year limited warranty. It provides 360-degree protection and more. 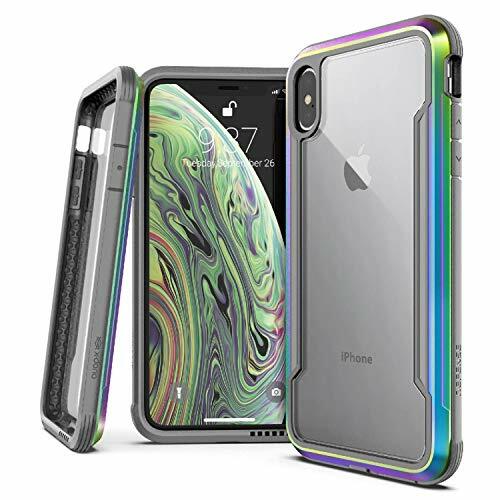 Spigen Tough Armor Case is your iPhone XS Max protector. It’s slim and sleek, with a size of 0.5 by 3.2 by 6.5 inches and a weight of 2.08 ounces only. This means it’s less than 0.15 inches of added-thickness to your iPhone. It is ergonomically designed for easy grip so it won’t slip your fingertips, and it can be easily be kept in your pocket without the bulk-feel. Manufactured with materials made to last, its got dual-layer protection and impact resistance. It’s made with air cushion technology and is military-grade tested to minimize or prevent damage due to drops. It has raised edges to safeguard your phone screen and camera lens. Its gunmetal color fits your minimalist taste. The case is wireless-charger ready. It also has a prop-and-watch reinforced kickstand for easy viewing and hands-free use of your phone. Its sides are strategically cut to allow easy access to the buttons and charging port. 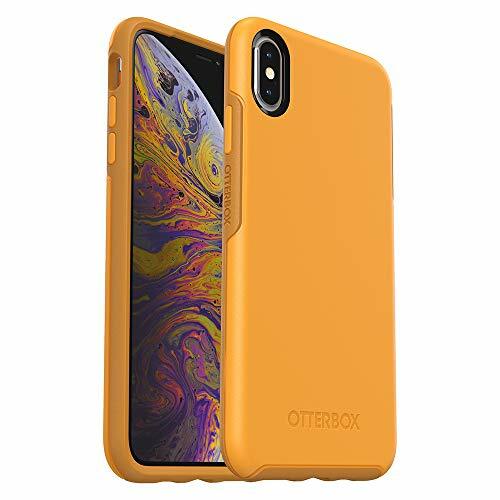 With a lifetime warranty and customer support, Otterbox Symmetry Series Case for iPhone XS Max provides your device guaranteed protection. Comes in colors of citrus or sunflower (Aspen Gleam), it has a slim and sleek design to match your style. It is only 6.4 by 3.3 by 0.4 inches in size and 1.44 ounces in weight, so it’s pocket-friendly, easily-held, and lightweight. With its one-piece feature, it provides hassle-free slip-on installation. 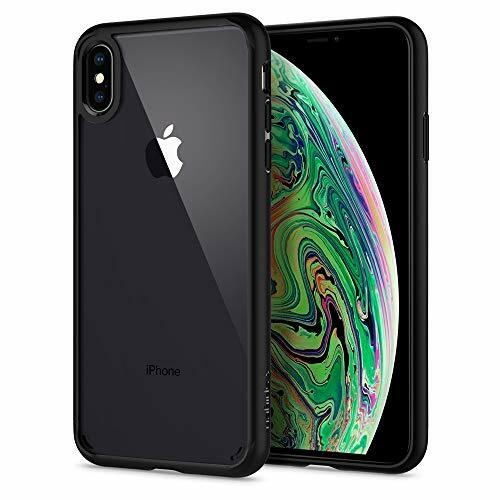 This one of the best rugged cases for iPhone XS Max is made of polycarbonate (PC) and synthetic rubber that allows it to be scratch-resistant and shock-absorbent. It has got raised beveled edges that make it durable and, its touchscreen, protected from damage due to dropping or bumps. The case is also cut in the right spots to allow easy access to the charging port, sensors, buttons, camera, and speakers. Tested to last for 1347 drops, 50 tumbles, and 2599 scratches, it delivers optimum phone defense in style. Protecting your phone is easy and guaranteed with the i-Blason (Ares) Full-Body Rugged iPhone XS Max Case. 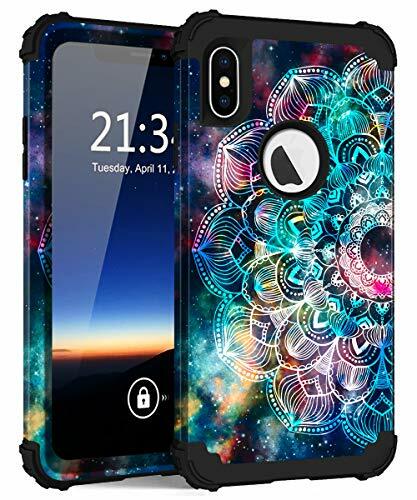 This 2.88-ounce, 6.6 by 0.5 by 3.3-inch case provides full body protection for your device through its intricate design. It has got a protective front-casing through its built-in front screen protector, which means you do not have to spend extra to shield your phone screen. It has a multiple-layered thermoplastic polyurethane (TPU) bumper, raised front lip, and cushioned corners for secure grip, optimum shock-absorption, and damage-protection against occasional falls. It also has added protection through its transparent and scratch-resistant back cover that keeps the phone as stylish and secured as possible. Finally, it has raised bezels around your camera lens to keep it unscathed and covered buttons to protect them from dust and dirt whilst keeping its responsiveness. The case has precise cut-outs for easy access to the port plugs, and it is wireless charger-friendly. Hocase iPhone XS Max Case is your heavy-duty iPhone partner. Its unique manala in galaxy design makes it stand out and suit your 6.5-inch apple device. Weighing only 2.72 ounces and sizing 6.7 by 3.5 by 0.6 inches, it has got dual-layer protection that effectively safeguards your phone against damage due to bumps and falls. Its polycarbonate hard plastic outer case and silicone rubber inner case makes it durable and resistant to external harm. While a separate screen protector is not included in the package, the bumper still protects your phone screen through its raised edges and rubber corners. These allow shock absorption to shield your phone screen and prevent the glass from shattering in cases of accidents. The case has precisely-cut areas for easy access to your phone’s charging port, sensors, speakers, and camera lens. The buttons are fully-wrapped in the case to keep it away from dirt and dust, but it still keeps the buttons fully-responsive to press. The Cresawis iPhone XS Max case is your ultimate iPhone companion. With a weight of 1.6 ounces and size of 5.5 by 3 by 0.1 inches, it provides your device with maximum, yet lightweight, protection. The case is made of liquid silicone and inner microfiber lining material for better durability and fit. Its thermoplastic polyurethane material also makes it resistant to oil, grease, and abrasion. Its polycarbonate component makes it non-slip and fingerprint-free. Aside from protection, this phone case also provides convenience through its ring bracket holder. The integrated ring bracket can be swiveled to 360 degrees and be used as a kickstand for hands-free use of your device. It can serve as your secondary grip to prevent your phone from slipping. It can also function as a car mount due to its magnetic capability. This one of the best rugged cases for iPhone XS Max’s cut-outs are precise to allow full access to the charging port, speakers, and buttons. The purchase comes with a 1-year warranty, so your phone protection is guaranteed. 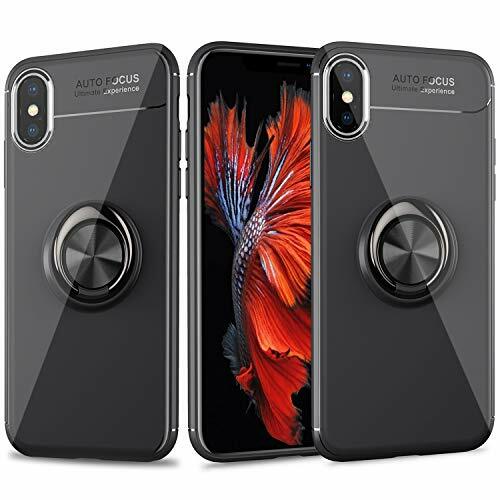 Anole Cases are compatible with your iPhone XS Max phone. Its pink color and 3d geometric diamond pattern make it truly noticeable. It is made of transparent thermoplastic polyurethane, which makes it non-slip, easy-grip, durable, elastic, soft and well-fit into your device. The same material also makes the case scratch-free. The case is lightweight and compact, weighing only 0.96 ounces with a size of 6.1 by 3.2 by 0.4 inches. Nevertheless, it provides excellent phone protection through its dual-layered bumper frame. Its wavy lining with air cushioning allows it to absorb impact and minimize or prevent phone damage due to fall. It has camera bezels raised by 0.3mm to safeguard your camera lens and the screen bezels raised by 1mm to protect your phone screen. The phone case also features precise cutouts of the charging slot and the mute button to allow unrestricted access. It’s got a large charging hole of about 14mm to fit about 95% of cable types and raised buttons for easy pressing. It is also compatible with wireless chargers, so you don’t have to remove the case at all. The case has a 60-day warranty, and the manufacturer provides a 24-hour turn-around time for customer service response. Cosmo is your high-fashion case for your iPhone XS Max. It is a stylish case that provides 360-degree protection for your phone. Its bumper is made of thermoplastic polyurethane (TPU) for optimum shock absorption and a polycarbonate (PC) backplate for scratch resistance. Its front cover is touch-sensitive to protect the phone screen from scratches and cracks. It also has raised bezels to guard your phone screen and camera against surfaces. 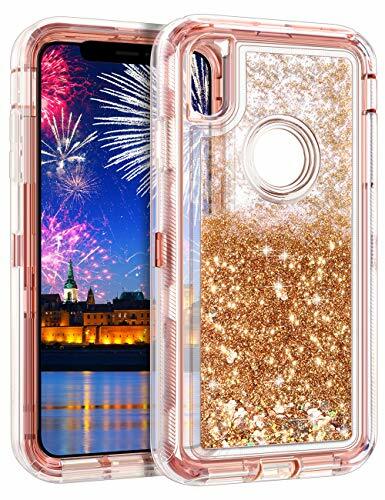 Its glitter back case is fingerprint and scratch-resistant to keep its stylish design unmarked. Together, these materials protect every side of your iPhone XS max from damage due to drops or bumps. Cosmo’s one of the best rugged cases for iPhone XS Max is slim and sleek, with a weight of only 2.4 ounces and size of only 6.6 by 0.5 by 3.3 inches. They come in colors black, blue, green, pink, purple and marble with various designs to suit your style. 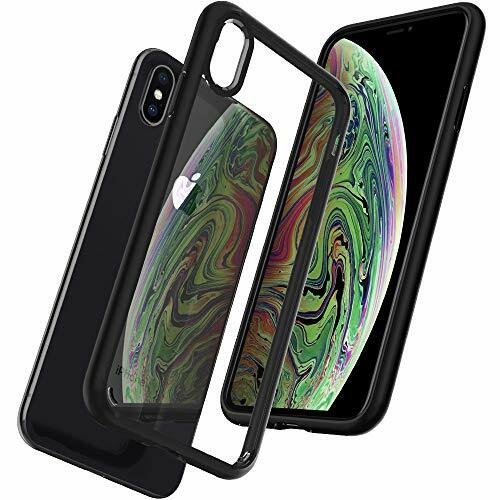 Maxessory Eclipse iPhone XS Max Cases provide your phone with 360-degree protection. Its front is made of a 9H tempered glass with anti-scratch and fingerprint resistance to protect your phone screen. It is made of a silicone frame bumper and a thermoplastic urethane (TPU) frame for corner shock absorption and anti-slip and grip-fit texture. It has raised edges as corner guards, dual sided-security for multi-layer defense, and raised camera barrier to shield your camera lens. It has an ultra-slim, lightweight design, weighing 2.4 ounces and 6.2 by 3 by 0.3 inches in size, to enable sleek protection. The case is also cut in the right places for easy access to the buttons and the phone features. The case is compatible with a wireless charger. The purchase comes with a Maxessory Case, Tempered Glass, and Microfiber Cleaning Cloth. For best results, the screen must be cleaned with the microfiber cloth prior to placing the tempered glass. A card can be used to push the bubbles towards the edge of the screen. Crave Series cases provide dual guard protection for your iPhone XS Max. 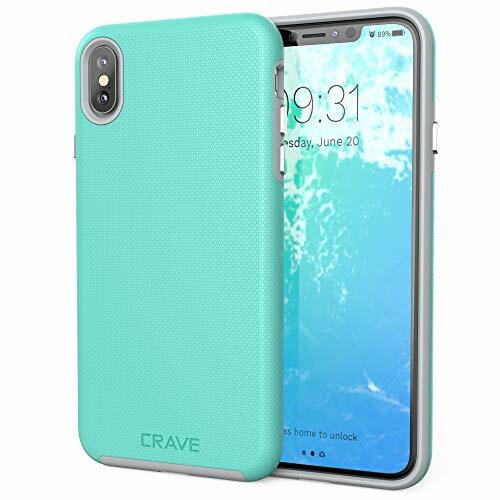 It’s made of dual-layer technology; the crave dual case layers are made of high-grade polycarbonate (PC) for shell protection from dust, dirt and scratches and thermo-polyurethane (TPU) to protect your phone from drops and shocks. With a size of only 7.6 by 4.5 by 0.7 inches and weight of 2.4 ounces, it has a slim, lightweight, and compact design that allows you to fit it in your pocket. It also has a balanced grip and slide control, so you can hold your phone without slipping and still be able to take it or put it back to your pocket without the struggle. Each case is molded in the right spots to expose the buttons and charger port for better peripheral access. With the crave series cases, you get premium protection for your phone with style, comfort, and functionality for a lifetime warranty. 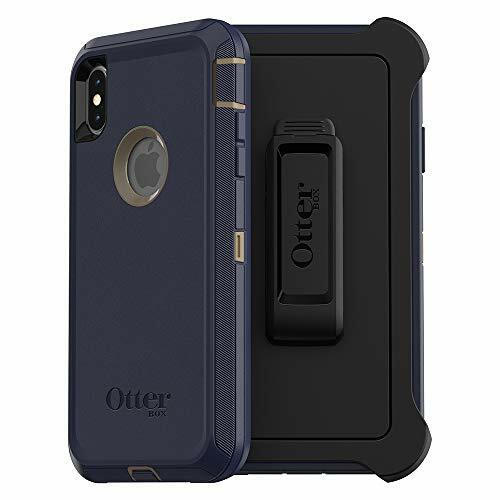 Otterbox Commuter Series is your on-the-go protection for your iPhone XS Max. With a size of 6.5 by 3.4 b 0.5 inches and a weight of only 2.26 ounces, Otterbox is your slim and sleek phone companion. Its thin and lightweight design allows you to fit it into your pocket or slip it in your purse without trouble. It provides two-layer protection, an internal slipcover, and an exterior shell, to guard your phone against damage due to drops, bumps, and shock. It also has a specialized cover to prevent entry of debris and dirt into the charging port. 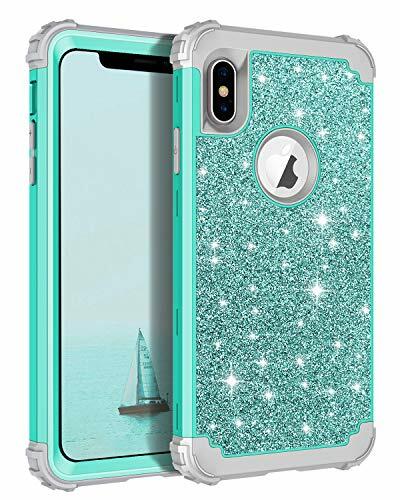 While it doesn’t come with a screen protector, this one of the best rugged cases for iPhone XS Max comes in four colors: black, ballet way (pink salt and blush), bespoke way (blazer blue and stormy seas blue), and ocean way (aqua sail and aquafier). The product comes with a limited, lifetime warranty, and it’s 100% authentic. The X-Doria Defense Shield Series cases provide the ultimate protection for your iPhone XS Max. It is made of military-grade metal that is certified to pass a 10-foot drop test (MIL-STD-810G). Its interior lining is made of rubber with a soft bubble pattern; its exterior, on the other hand, is made of a hard polycarbonate shell. These materials combined allow shock absorption and deflection, so your device is better protected from impact. Its raised lip also shields your phone from scratches and drops. This one of the best rugged cases for iPhone XS Max do not restrict your phone’s audio capabilities. It has an integrated, phone-facing audio channel that allows sound amplification and audio redirection towards the front of your device for a better sound experience. 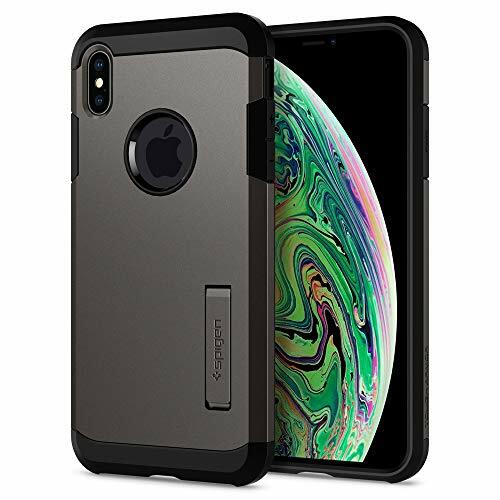 Buy Rugged Cases for iPhone XS Max Today! Now that we have given you a good list of the best rugged cases for iPhone XS Max, we hope you won’t miss buying one so you are guaranteed that your device will serve its purpose for years.